The Duke of Edinburgh’s Award Welcome Pack is given to the participant, along with a DofE account, to help undertake the DofE programme. 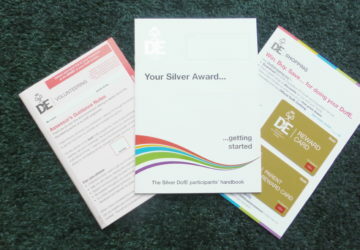 Each Welcome Pack guides the participant through the DofE programme. It also tells the participants how to sign into eDofE, record the activities they have chosen for their DofE, briefly outlines each section and gives examples on activities that can be followed. Included in the pack are guidance notes for the Assessor. A handy Expedition Safety Card. eDofE works best for Leaders and participants, if participants sign in and complete their personal information as soon as possible once their accounts have been set up. Participants can choose their timescales and complete the programme plans for each section. Support is available from Edsential in setting up eDofE participant programmes.